Barney Kessel was my first influence in jazz guitar. He just had so much enthusiasm and a bluesy style that was really accessible to me at the time (my late teens). Later, I discovered the other masters Pass, Farlow, Benson, Martino, Breau, etc. I was also really interested in Bossa Nova, the Bossa guitar was and still is just fascinating to me. I don’t gig right now. I played through college, in the school jazz program and with my own group. My “desert island” guitar would have to be one of mine or a really fine classical guitar. I saw Jimmy Bruno when I was 18 or so in Philly. His level of musicianship blew me away…almost incomprehensible. He was such a nice guy too….let me play his Benedetto! I felt the same way when I met Pat Martino. With YouTube, we see there are so many people around the world playing at such a high level it’s just mind-boggling….and very humbling. 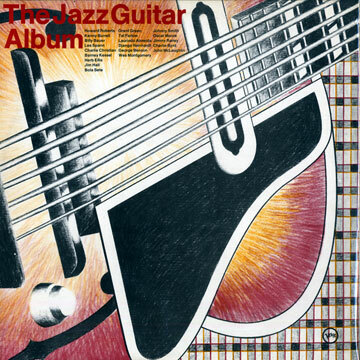 I’m a little old-fashioned in my taste, for me, Jimmy Raney is the Leibniz of bebop guitar. The beautiful logic!